I am a worrier when it comes to preparing for trips. I am also a procrastinator and these traits usually result in everything being a bit of a whirlwind come the weeks before any trip. I stress about my bike setup, about clothing, about spares, about tyres, about weather, about food and even about empty bag space. My prep for the Highland Trail was no different. Many things were packed and unpacked, weather was checked frequently and I tried to make critical decisions like “do I really need a stove?”, “maybe one inner tube would be enough” and “how many cereal bars are enough cereal bars?”. One relief was that my bike and bags were sorted. The Surly Karate Monkey was raring to go and my new Straight Cut Design frame bag was neatly fitted waiting for me to figure out what I was going to stuff in it. Eventually there was no more putting the inevitable off, it was time to leave. All the last essentials were squeezed into my bags and as I lifted it into Stu’s van I cried a little at the resulting weight of my now fully laden bike. Loaded up we set off to Tyndrum for a nights sleep in the van and an early start on the trail come the morning. It turned out I was not the only one that was stressing about packing, Stu had been through the same turmoil and we discussed all the things that hadn’t made the cut but may in fact need in the future somewhere on a desolate trailside. When preparing we read a lot of blogs which had given us fears of ripped tyre sidewalls, closed shops, not enough clothes and generally everything going wrong. I had images of trudging for days in the rain carrying a broken down bike to simply get to the next village. 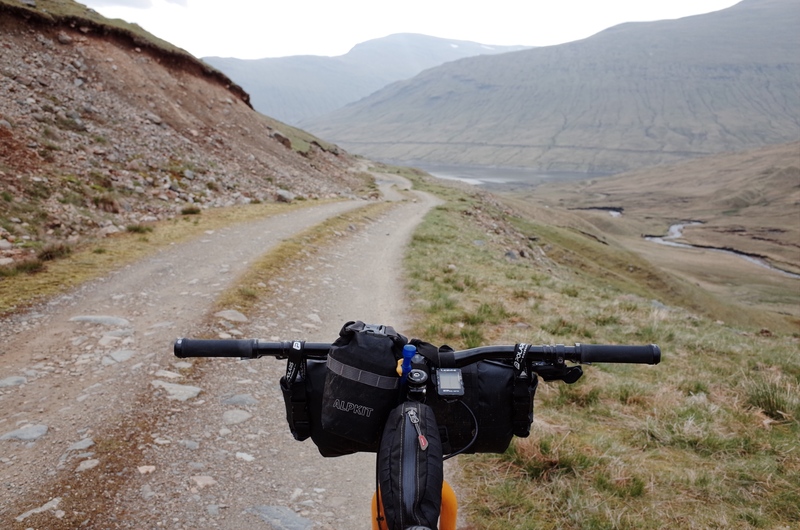 The route is long and restocking options are often far apart so there are a number of important considerations to make but in the end it is just a bike ride. We had packed for this sort of thing many times and no matter how thorougher your packing list there is often something superfluous that you bring along and something that leave behind that would actually be rather handy. 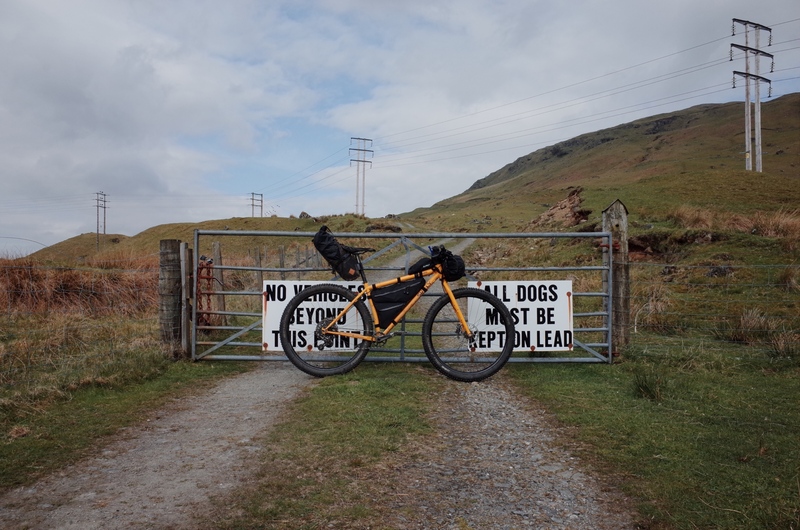 Day 6 – Slattadale Forest to Kinlochewe bail out.